Our High-Speed Forging Division in Brave, Pennsylvania is committed to producing components to the highest quality specifications. Forging offers a wide range of outstanding benefits over other manufacturing processes such as machining from bar stock or casting. Our high-speed forging process goes beyond conventional forging with incredibly fast production rates. The final result is a stronger part, with less waste and lower cost. At our High-Speed Forging Division, we produce an array of forged brass components from rod stock to near-net product in less than half a second per part. 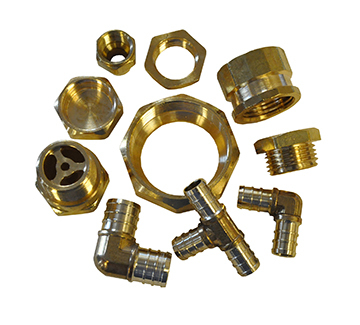 Many machined small brass parts are good candidates for the high-speed forging process. Visit Engineering & Design to gain more insight on how our engineers begin the process for forged products.